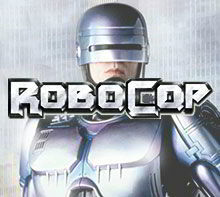 After being killed in the line of duty, officer Alex Murphy was rebuilt by OCP (Omni Consumer Products) as the very first Robocop. Their previous attempt at a law-enforcement robot, ED-209, had killed an executive during a demonstration. OCP, the megacorporation running the police force in crime-filled Detroit in their attempt to turn it into a utopia called Delta City, programmed Robocop with three main directives. Serve the public trust. Protect the innocent. Uphold the law. Unknown even to Robocop, there was also a fourth classified directive which prevented him from arresting or harming any senior executive of OCP. Here you will find all of our official Robocop merchandise!